The Japanese Yen is the official currency of Japan. The Yen is currently the third most traded currency on the foreign exchange market and enjoys a significant level of popularity as a reserve currency. A fun bit of triva regarding the Yen: the word ‘yen’ in Japanese means ‘round’, as in a round coin, and also shares its ¥ symbol with the Chinese Yuan. The strength of the Yen is attributed highly to the stability of the electronics and automotive markets and productivity of the nation’s workforce. The Japanese Yen is currently the world’s fourth most-held reserve currency. The Yen holds a certain level of stability due to the International Monetary Fund’s regulations allowing for the Yen to be valued at a fixed rate for all international trade transactions. During the 1980s, Japan attempted to widen the Yen’s market share as a reserve currency by exporting large amounts of capital around the world. This practice yielded minimal results, as the Yen remains directly behind the British Pound Sterling with its market share fluctuating anywhere from five to ten percent. The Japanese hoped to establish an international financial center in Tokyo. However, minimal annual increases of one to two percent have prevented the Japanese Yen from earning a larger portion of the international market share. The Japanese Yen was adopted by the Japanese government via the New Currency Act of 1871. 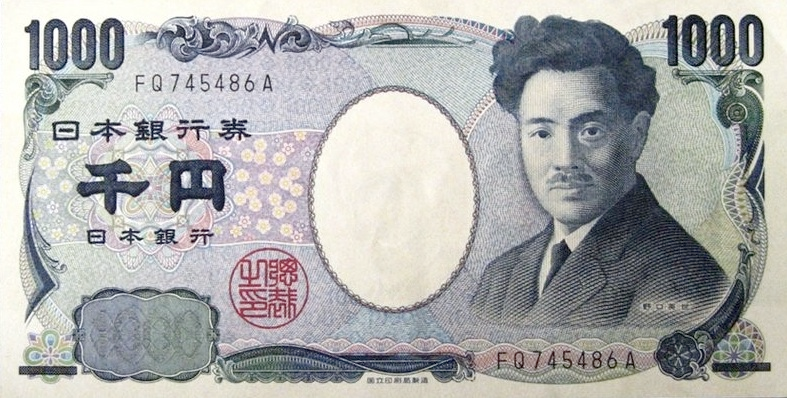 The Yen served as a decimal-based replacement for the outgoing Tokugawa system. The Yen was based on both a gold and silver standard from the time of its adoption. The transition to a fiat currency occurred in 1931 due to global economic factors that also caused the US and Canadian Dollars to leave the gold standard. The Japanese Yen suffered significant damage during the second world war when the currency was not officially recognized on international markets. After the war, the Yen suffered from periods of fluctuation and instability until the currency was stabilized by the US occupation government. A period of fixed-rate evaluation gave way to the Yen being floated once again in 1973. Since then, the Yen has fluctuated along with the other major world currencies. However, despite a relatively negative economic trend in recent times, the Yen has remained rather stable and remains a sound investment choice. There are 6 primary coins (¥500, ¥100, ¥50, ¥10, ¥5, ¥1) in active circulation and some commemorative and collector coins in circulation but with limitations pr specified restrictions applied. There are a total of 4 primary Japanese Yen bank notes (¥10,000, ¥5,000, ¥2,000, ¥1,000) available in circulation.